Sunrise light on Wetterhorn Peak, with Matterhorn Peak to the left. 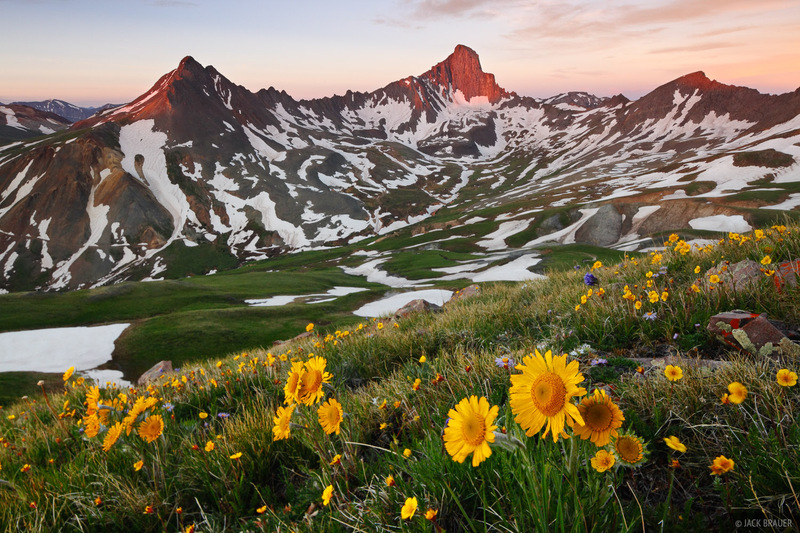 Uncompahgre Wilderness, July. . Photo © copyright by Jack Brauer.